Now that it seems the warmer spring weather is here to stay (we hope! ), many of us have begun thinking about getting our lawns and landscapes back in order and preparing outdoor spaces to spend time in during the spring and summer months. Maybe you’ve also begun spring cleaning. 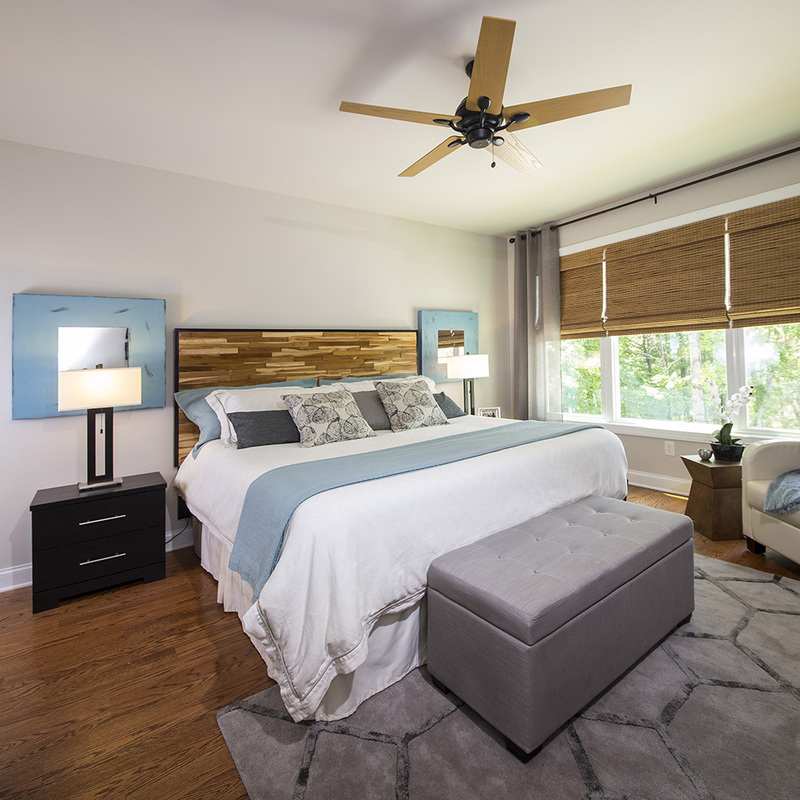 With the slightly warmer days, it’s a great time of year to de-clutter, wash the windows, change the HVAC filters, shake out rugs and bedding, and get rid of the dirt that seems to so easily collect during the winter months. 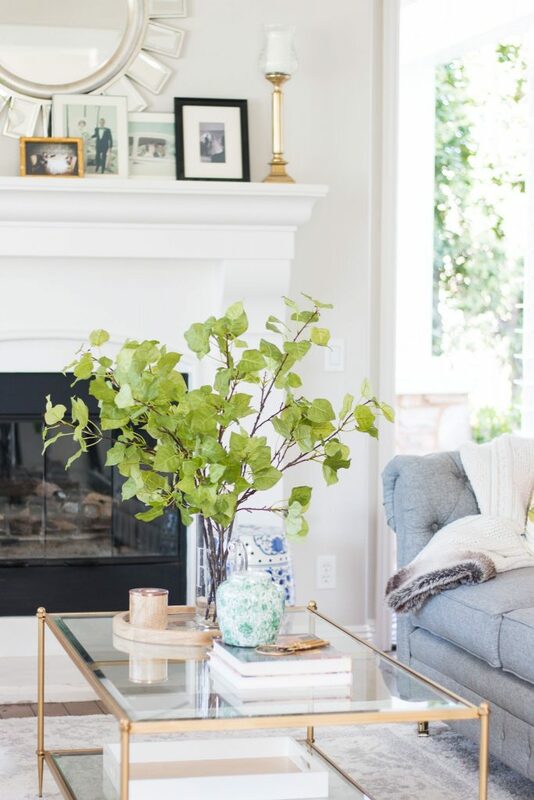 Part of your spring cleaning probably includes organizing and dusting off all those spaces where mail, kids’ items, and other stuff tends to accumulate — console tables, coffee tables, dining room tables, mantles, bookshelves, etc. 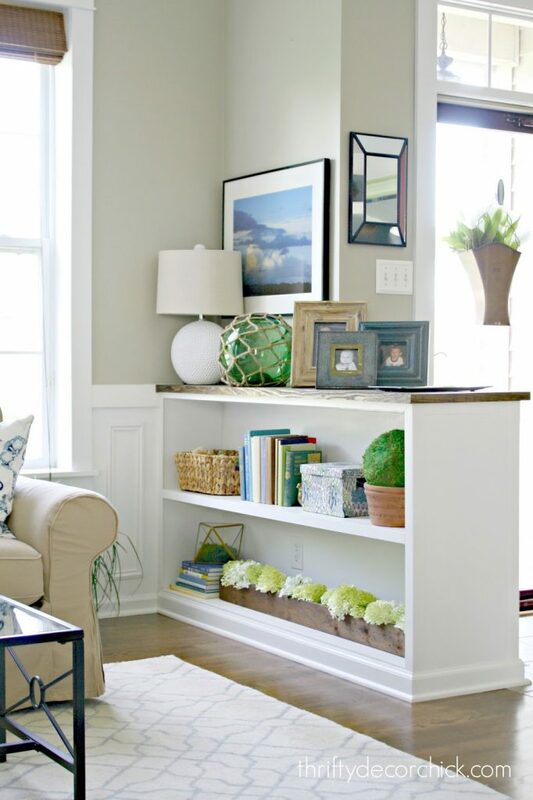 As you’re sorting through the piles and taking off each item to dust, it’s the perfect time to restyle these areas. 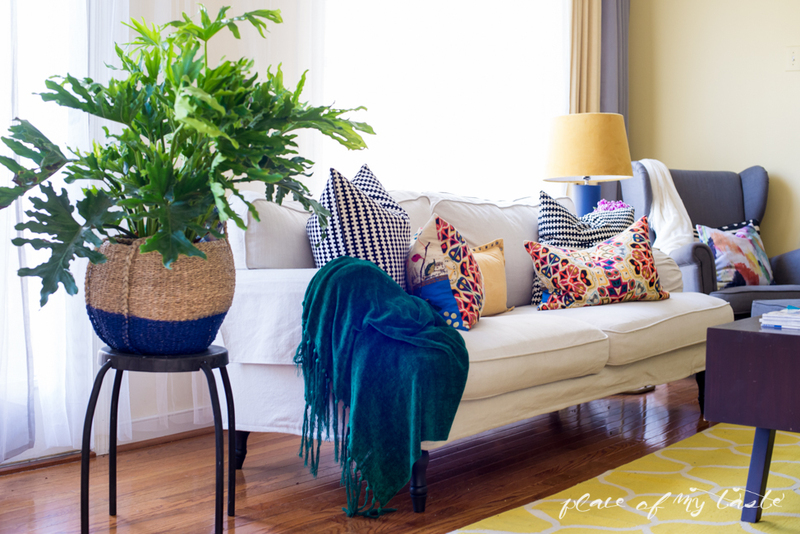 Consider incorporating some live plants for a pop of spring color and some new accessories such as lamps, picture frames, or books that will add a vibe of freshness. Photo from A Thoughtful Place blog. Photo from Shades of Blue Interiors. 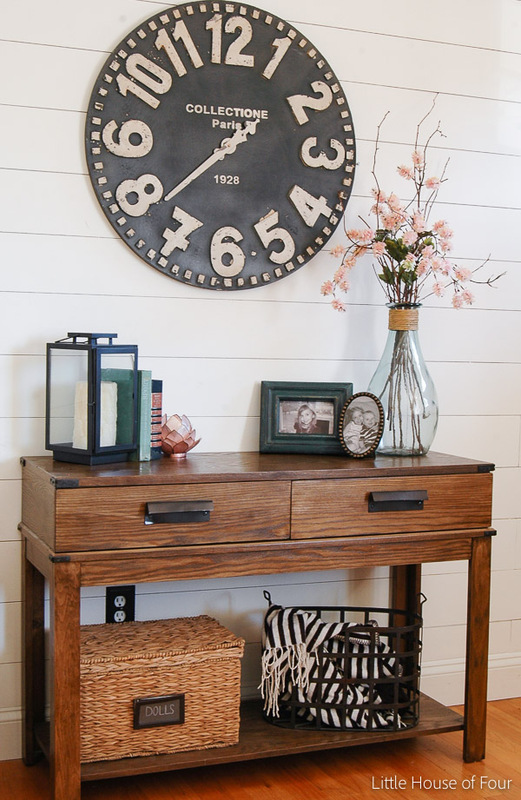 Photo from Thrifty Decor Chick. 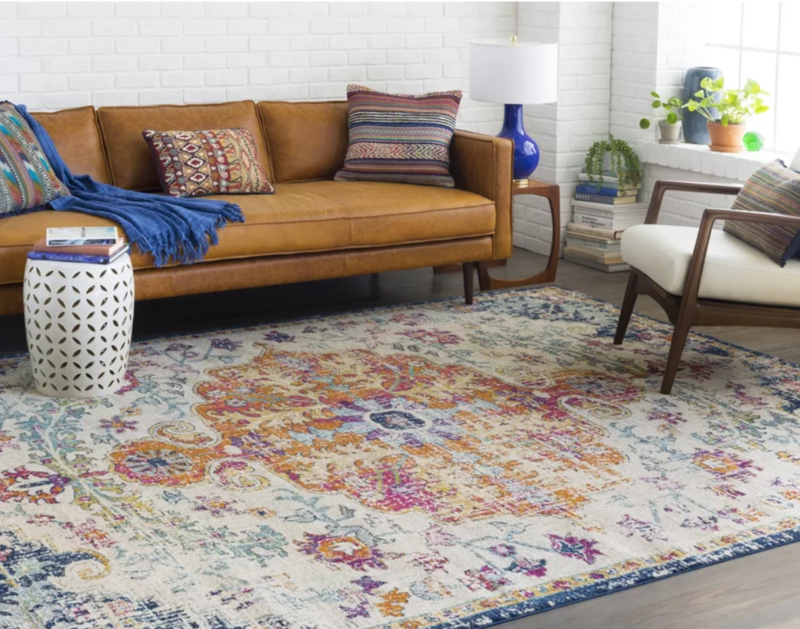 As you’re vacuuming and shaking out the dust from items like your rugs and throws, you may find that it’s time to replace them (or at least swap in new ones for the season to give you time to thoroughly clean off the old ones). 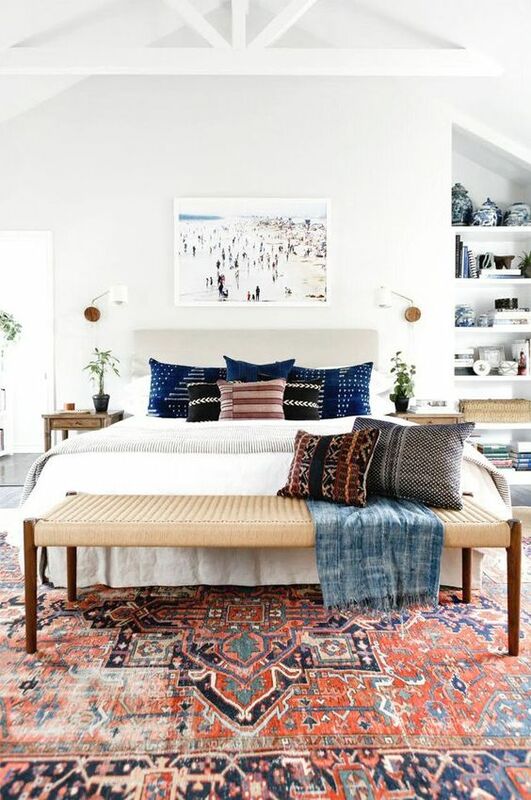 A new rug can dramatically change the look of your room, and smaller items such as pillows and throws can be effective for adding in a pop of color or texture. Photo from Place of My Taste. 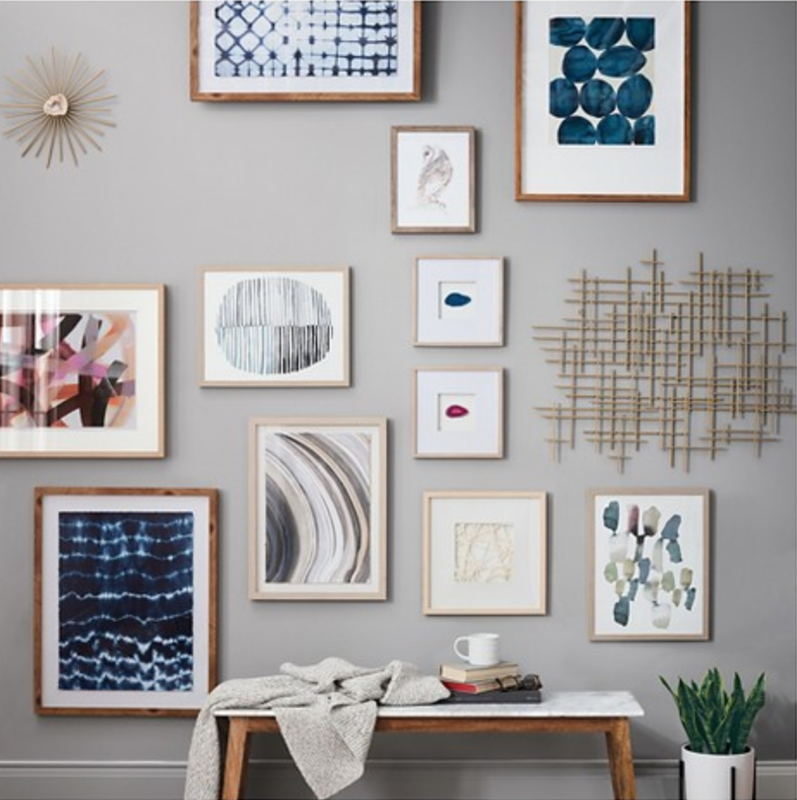 Those things on the wall typically get less attention when it comes to cleaning, so your spring cleaning is a great time to take them down and thoroughly dust them off. While you’re doing that, you may consider swapping out what’s currently hanging with something with a bit more spring-time flair. 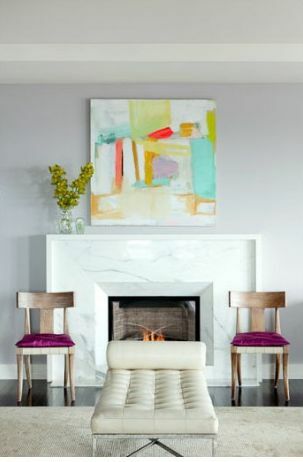 A piece of artwork with some fun colors in your entryway or a mirror above your mantel can really brighten the look of your space. You may even consider a custom piece of artwork from one of our talented Roanoke area artists. Your spring cleaning and de-cluttering efforts may all be in vain if you don’t set up ways to keep things organized throughout the rest of the year. 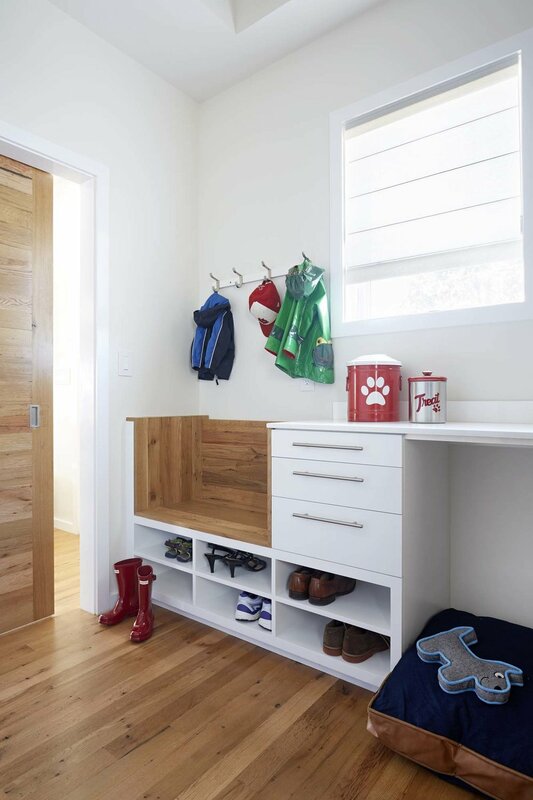 From something as simple as a basket or tray to bigger items such as shelves, there are a lot of options that can help you keep things neatly tucked away and in their proper spots. 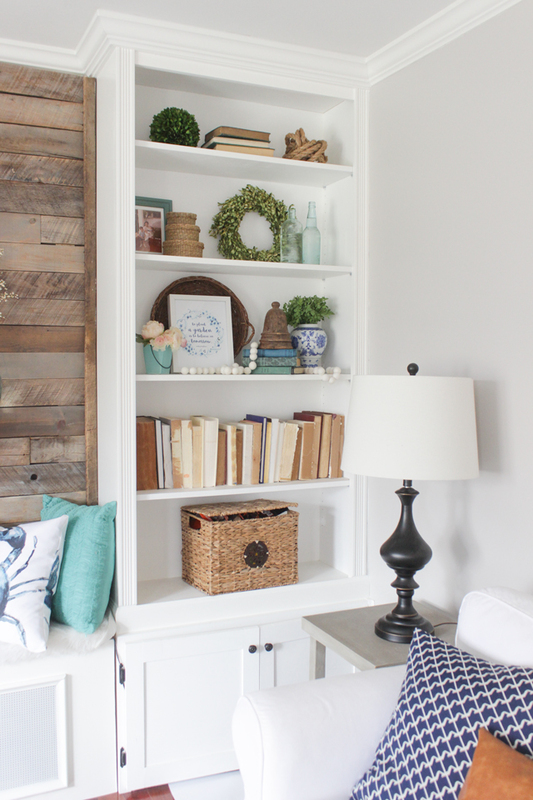 Check out our post on creative storage solutions here. We love the basket for doll storage and the wire basket for the throw. Photo from Little House of Four. 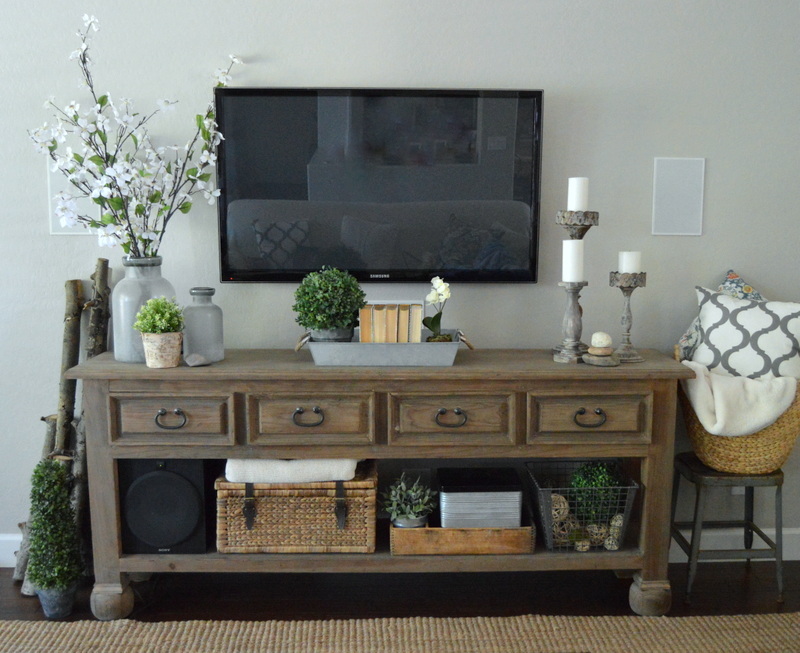 We love the mix of trays and baskets for storage in the lower part of this table. Photo from Home Remedies blog. For most of us, thorough cleaning under large pieces of furniture doesn’t happen too often. 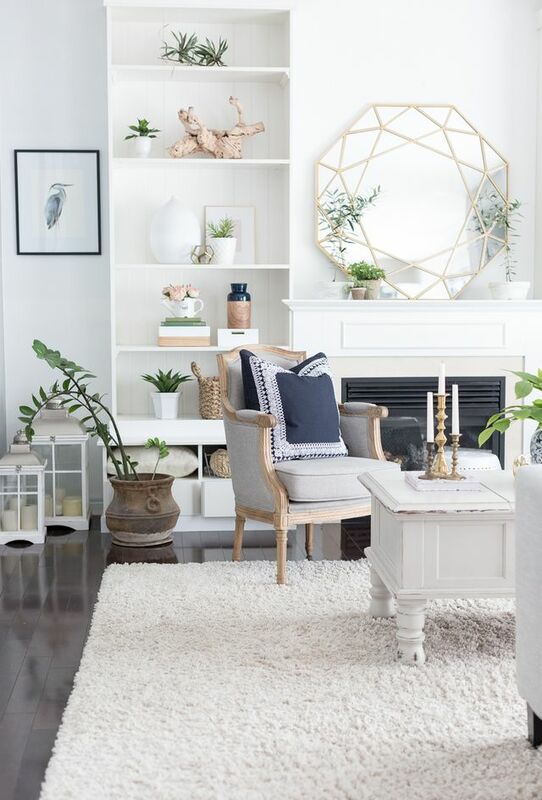 So if you’re doing that as part of your spring cleaning, and if it makes sense in your space, consider re-arranging your furniture in a layout you’ve never tried before. 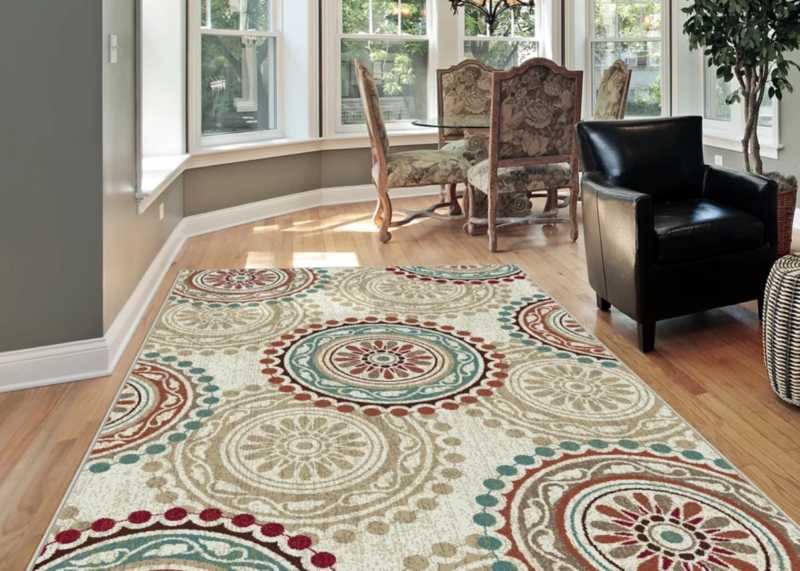 It’s a completely free way to shake things up and guaranteed to give your space a different look! We hope that this has been a good starting point, providing you with some inspiration for ways you can spruce up your home as you spring clean. 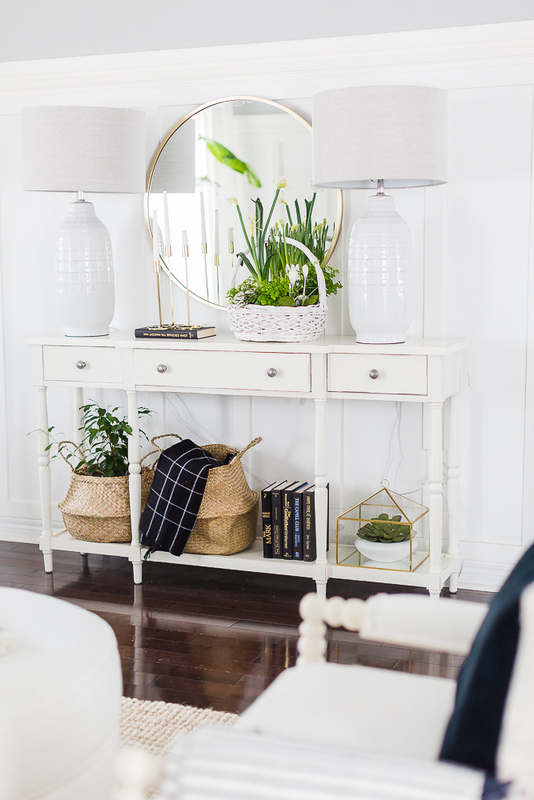 Whether you’re buying some new pieces or just re-arranging and swapping out some pieces you already have, spring is a great time of year to re-evaluate how your home can tell your story.